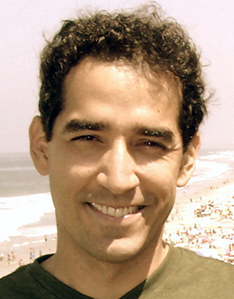 Ivan Delgado has a Bachelor's degree and a PhD in genetics, and an MBA. He has been solving problems in both academic and industrial settings, including as a contractor, before working on problems for IdeaConnection. I found IdeaConnection online and signed up. I signed up because I found some problems that needed my expertise and I thought it would be beneficial to me, and the seeker, to come up with ideal solutions to problems. I’ve worked on one challenge and I won it. I found the challenge neither easy nor difficult. It was just about right. I did have an idea of what the solution might be when I started on the challenge, which is important because that gives you a solid head start towards formulating an ideal solution to the challenge. The team came up with two or three ideas before deciding to focus on one, and all team members pretty much contributed equally in their own way. It was both a learning experience as well as an enjoyable exercise to work with a team of experts in my field, as opposed to trying to solve the challenge by myself, and the experience of working with people from different backgrounds and cultures was "synergistic." Both positive and negative. I was glad to receive the award, but disappointed that it was only a partial award. I’ve learned how the process works and what needs to be done to satisfy a seeker's requirements. I am interested in working on more challenges with IdeaConnection because I enjoy learning and because it is a very good use of my knowledge and expertise. Having a facilitator was helpful in that he kept us in check as far as getting the solution finished instead of spending too much time working on possible alternatives. I think it is a great resource for organizations that need the expertise and do not have it in house.